What do the authors of Grand Theft Auto IV think about Apple users? 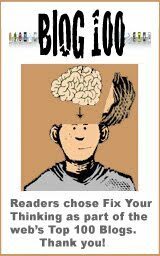 Tossers. They've embedded an Apple parody into one of the Internet cafe computers in the game. Among other points, they take down Apple (called "Fruit") for being overpriced minimalism. 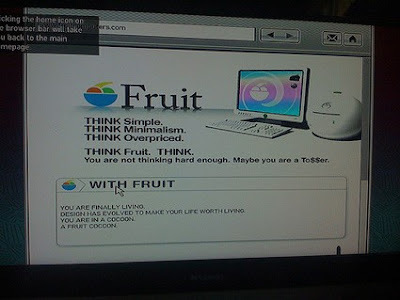 A white shiny unit, superficially similar to the "i" sits next to a near-cinema display and readers are encouraged to "Think Fruit" and live in the "Fruit Cocoon". 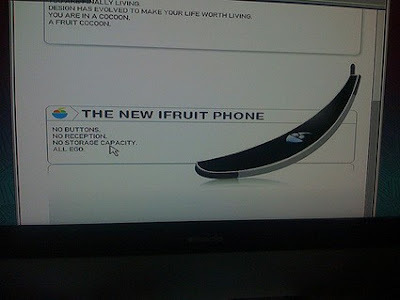 The fake site also advertises a new banana-shaped iFruit phone. Its sales points made me laugh out loud: No buttons, no reception, no storage capacity, all Ego! Grand Theft Auto's parody is just one of countless parodies on Apple these days. 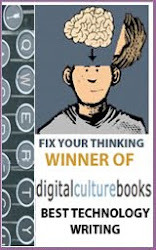 Everybody from Steven Colbert to SNL, and everyone else in between are doing them. All this does is prove just how successful, powerful and influential Apple has become! Not only that, but as Apple's success increases over time, likewise, you can also expect these Apple parodies to increase in proportion along with it! Are Apple ADB Controllers still being made?